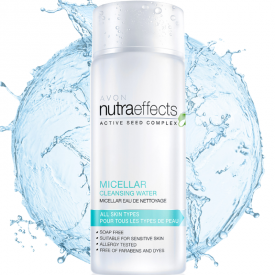 Gentle, soap-free formula infused with Active Seed Complex helps remove all traces of stubborn makeup without rubbing in one simple step. Deeply cleanses pores, leaving skin looking and feeling comfortable and purified. Containing Pro-vitamin B5, sunflower seed extract, chia seed extract, a vitamin E derivative, soapwort extract and cleansing berries, it is gentle on skin, packed with antioxidants and formulated specifically to help minimise the risk of drying and stripping skin. 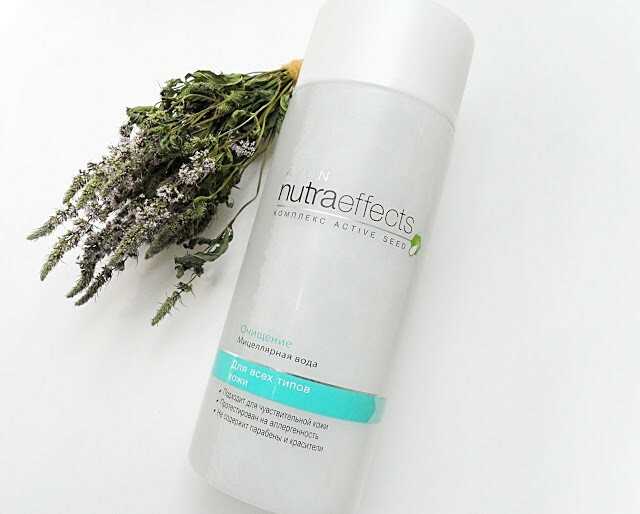 Like all products from the series Nutra Effects, micellar water using the enormous power of small seeds to give perfect care and protection for the skin. 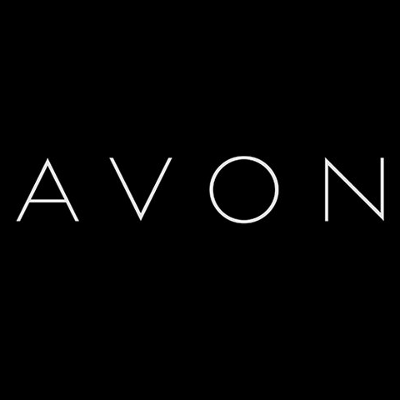 Like all products in the line, the water is also without parabens and dyes, alcohol-free and allergy tested. This makes it ideal for sensitive skin, making it soothes and refreshes the moment. Moisten a cotton pad with the Nutra Effects Micellar Water and gently swipe over dry skin. Repeat as necessary. For waterproof or long-wear makeup, including mascara and lipstick, hold the moistened cotton pad over the area for a few seconds, then sweep away. No rinsing required. 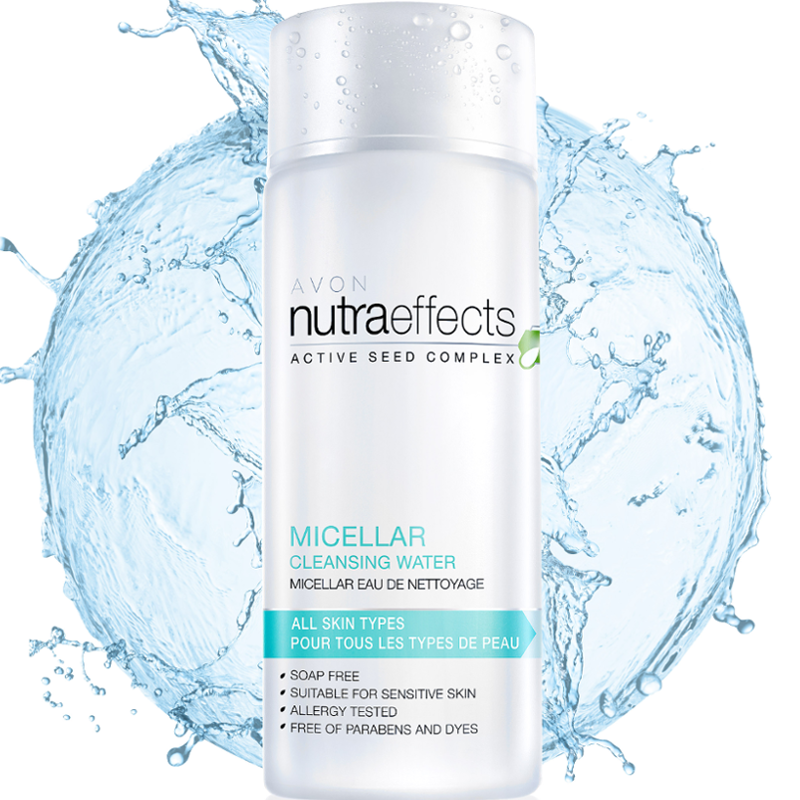 That was my first micellar water, that I had to try and for me it was a really nice surprise. It's meant for all skin types, not scented and removes face makeup nicely. It does not cause an allergic reaction or skin irritation. You can particularly feel sun flower seed extract and vitamins in action which make skin feel so comfortable and not dried out at all. As to the packaging itself , sometimes it is difficult to handle when pouring the contents onto a cotton pad. All in all, if you are seeking a reasonable micellar water that would fit your need I 'd definitely recommend this one to try it out.